They’re all my trees. They’re all your trees. Memorial Day is not only about respecting our troops, but knowing why they are (and were) doing what they’re doing. If we don’t ask the “Why?”, then our respect and our support for their actions is so narrow that it is meaningless, and in fact, dangerous. Respect also requires empathy, and empathy for our troops includes a feeling of the sacrifice they are making, and perhaps making that sacrifice ourselves. Memorial Day can be treated as a holiday, but true empathy doesnt get released from a pod in short bursts once a year. And this is a valid point. It reminds us to appreciate what we have in this country. 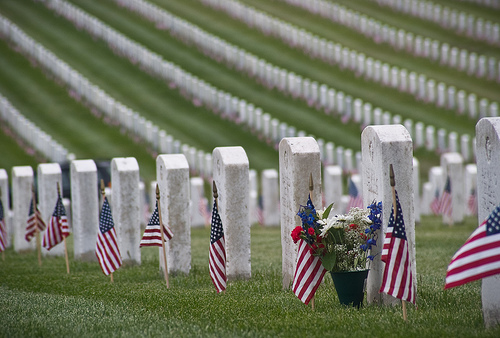 Memorial Day commemorates a simple, obvious idea. So why do we need to be reminded to honor this powerful sacrifice if it’s so obvious? You can see that it all leads back to the “Why” and “What” our troops are doing.